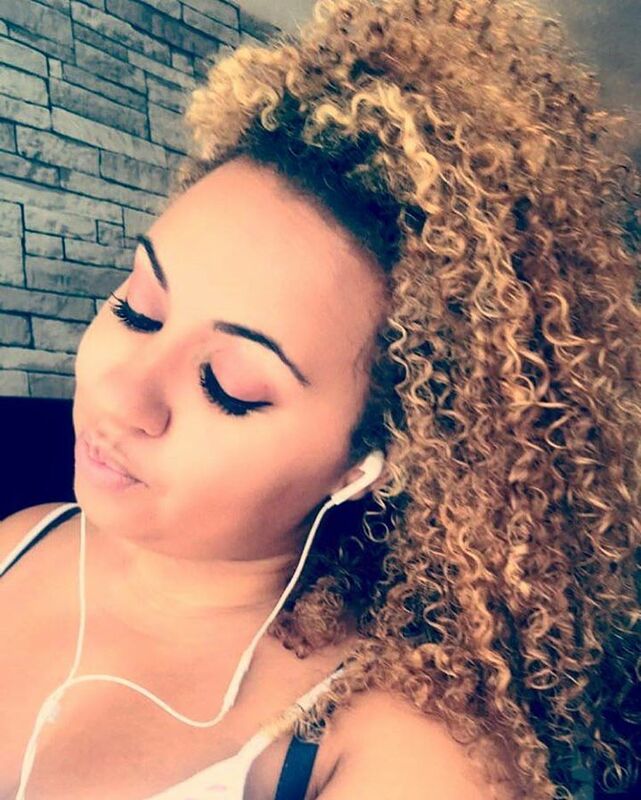 Using a diffuser on your curly hair can be a great way to get volume and have your curls turn out right ... IF you know what you are doing. I used to stay away from diffusing as 1. I had no clue how to do it and 2. My hair does not like heat. It took a lot of researching and hours spent watching other curlies do this, to be able to find a way to make it work for me. There are so may diffusers out there to choose from, and while it is important which one you choose, i feel that technique is even more important to make sure that you don't end up looking like a banshee. Today i am going to be sharing with you some of my tips and techniques, in the hope that i can help one of you. Choosing which diffuser to use can be confusing. Do you go for a brand such a devacurl, what size do i chose, will a cheap one work just as well. It is a hard choice. For me i got my first diffuser based on the hairdryer that it came with. My first one was a treseme. This hair dryer was affordable, had 3 heat settings and the diffuser had longer parts to it, which meant that with my thick hair, it was able to dry my roots. I did like this diffuser, but i had my eye on the CurlFlo Collapsable for so long that i just had to get it. This diffuser is collapsible meaning not only is it easier to store or carry around on holidays etc, but it can flatten and bend and get right where i need it to with my hair. I LOVE this diffuser! It is the one i would recommend the most out of the two. It is a UK brand, and i think that there is an American version which looks pretty similar which is The Curly Co. When choosing a diffuser try to take into consideration the length and thickness of your hair. If you have longer thicker hair like me, you want a diffuser that is either collapsible, or has longer prongs on it. This will allow your hair to fill it and dry it in sections. A smaller diffuser is going to take a long time to dry hair. If you have short hair, then a smaller diffuser is perfect for you. As mentioned, the brand and name on the diffuser will make no difference if you don't know what you are doing. My advice would be to try a more affordable brand if you are starting out diffusing for the first time, and then branch out and try a more expensive one. It took me a while to learn how to use my one, and i went through stages of having no clue and not using it at all. I would have been gutted if i had spent £20-30 on just the diffuser and then not used it. When it comes to do diffusing your hair there are a lot of do's and dont's out there. These tips are just my personal experience and preference, everyone had there own way of doing it. The first thing is how your hair is to start with. For me i like to apply product onto my hair while my hair is dripping wet. This is either straight after washing, or after refreshing with a spray bottle. I do the LCO (Leave-in, Cream, Oil) method. I let the product sit on my hair for at least 10 minutes so that my hair has time to soak the product in. Next i like to use a micro fibre towel to either scrunch excess product and water out of my hair, or i wrap my hair in the towel while i do my makeup. My favourite hair towel to do this with is OnlyCurlsLondon. This towel just makes sure that my hair doesn't end up with a sticky residue and also will speed up the drying process, while making sure my hair doesn't frizz. The diffusing process comes next. At this point the product has been sat on my hair for around 20minutes. Flipping your hair to the side when diffusing your hair creates more volume. You want the hair to sit in the diffuser, and then you can scrunch this up to the root, hold it there, and then repeat. This scrunching process is what creates the most curls, and having your head to the side, gives it more room for bounce. You want to diffuse your hair in an upward motion and keep the diffuser moving. I start by flipping my hair over and out to the right first so that my head is at an angle, hair hanging over and then to the left when this side is feeling drier. After doing both sides, i flip my hair forward over my face so that my head is almost upside down and do the same again. I repeat right-left-front until my hair is almost fully dry. Most hairdryers come with 3 heat settings, and 3 speed settings as well as a cool blast button. Choosing a speed and heat is something to pay close attention to! When i first started trying to use a diffuser on my hair, i used a low speed, high heat. This DID NOT work! My hair frizzed so badly and i was left with no definition to my curls and having to start my hair all over again. The second time, i tried lowest heat setting and high speed, this worked alot better and was what i chose to do my hair on whenever i diffused. It was only recently that i switched this up and finally found what worked for me. Now i use the middle settings on both speed and heat and ensure that i give my curls a blast of cool before i finish. As i pull the diffuser down from my roots is when i press the cold air button. This cools my curls down so i can tell if they are damp or just hot and it seals them better. My curls have nice little ringlets underneath when i do this, and i get a lot less frizz. Almost none at all. Sometimes i choose not to 100% dry my hair, just to help ensure that i don't get frizz. What i do is once my hair feels about 80% dry, i will stop and add some more oil. Applying oil before, during and after the diffusing process, helps to keep the shine in your hair that it may have lost through the heat. I will either leave my hair to air dry the rest of the way or dry to 100 it depends on where i am going. Once your hair is 100% dried then you can play around with it more. 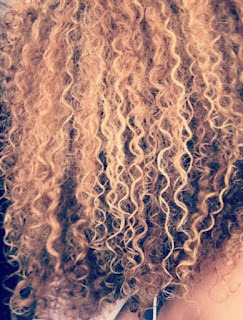 Try not to touch your hair until it is fully dried as you can manipulate the curls, pull them out too soon, and reshape them which will all lead to frizz. Instead when it is ready, you can get some oil on your fingers, and fluff your hair out in a scalp massage, or use an Afro comb to pick the roots creating more volume. If you are going to use a comb, be sure not to pull it through your hair, and to only do this on dry hair. You don't want to end up pulling those curls out and ending up with thick bushy roots! I have made this mistake so many times and it is not a good look. Fluffing your curls out just adds that natural volume. My fave way to finish up the diffusing process is with an oil sheen spray. My number one go to is the ORS Olive Oil sheen spray. 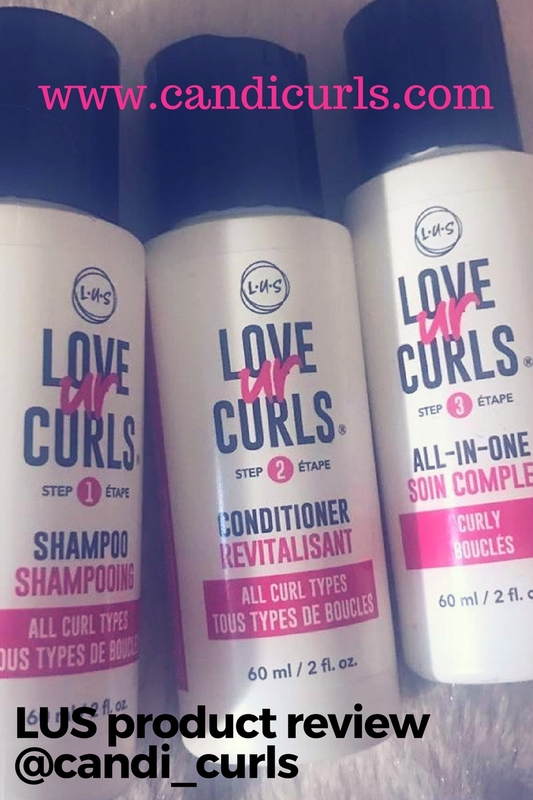 I have been using this product for years on both curly and straight hair and i feel it gives my hair a nice shiny healthy shimmer to it, plus it smells amazing. Here you can see that my hair is alot flatter, as it is still wet. At this point i had only applied the product to it and was letting it sit on my hair as mentioned above. My hair has length due to shrinkage not yet kicking in, but there is no volume to it yet. For product info check my instagram. In this picture my hair was about 60% dry. You can see that shrinkage has started to kick in, and it is alot fuller. This was the point in which i stopped diffusing, added more oil and fluffed my hair out to created that bighair-dont-care look. In this final picture you can see that my hair is 100% dried. There is NO frizz to my hair, and it has a nice shine to it. 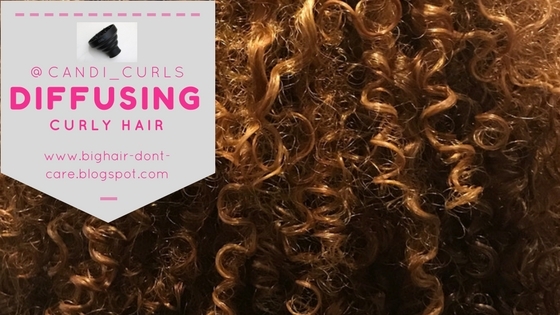 I hope that this post has been helpful in helping you in learning how to diffuse your curly hair. Please subscribe, like, comment and follow me on other social media by clicking the links below.